LOVE's Haven: Best Way to Start my Year! Best Way to Start my Year! I never thought I would end my year that way... indeed, I am one Proud Kagay-anon! 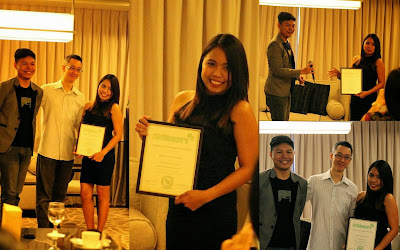 I was so honored and blessed to received my 1st Blog Award ever (since 2009), thank you Cagayan de Oro Bloggers Inc for recognizing my effort in promoting our very own city. More to read for my CDO Blog of the Year post. Together with our Org Pres.- Mr Vic Madriaga and Seda Centrio Manager- Mr. Lorenzo Tang.